Adult neural stem cells (NSCs) are slowly dividing astrocyte-like cells located at the subventricular zone (SVZ) of the lateral ventricles and at the subgranular zone of the hippocampal dentate gyrus. 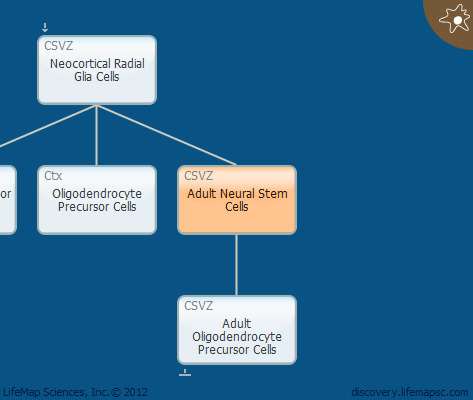 These adult NSCs differentiate into olfactory bulb and hippocampal neurons, respectively, throughout adulthood. Adult NSCs in the SVZ, sometimes known as the subependymal layer, are referred to as SVZ type B cells. These cells exhibit astrocyte features and express astrocyte markers such as Gfap, Vimentin and Glast. SVZ B cells also give rise to oligodendrocyte precursor cells.